We Accurate Labels Pvt.Ltd. 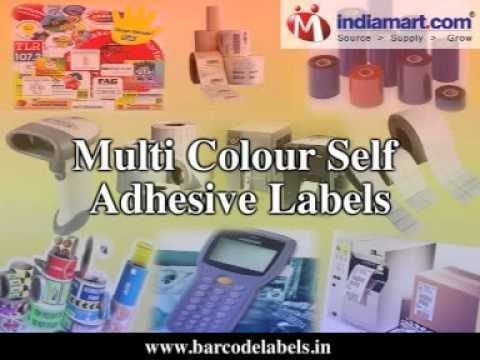 a Private Limited Company registered in the year 2005, are engaged in manufacturing, supplying and exporting a diverse range of self adhesive labels, stickers and tags. Our company, located at Noida, is facilitated with all kinds of requisites for qualitative production. Each activity is conducted making sure that we meet with the present day demands and keep ourselves abreast with the upcoming technology and other developments. We offer a diverse range of Barcode Labels, Plain Barcode Labels, Barcode Tags, PVC Stickers, Barcode Printer, Barcode Scanner, Thermal Ribbons, Printed Label 4 Colour, Multi Colour Self Adhesive Labels & Labels For Pharmaceutical Industry. Our unit is fully equipped in order to meet varying demands, such as new paper, Adhesive Shape suitable thermal ribbons etc. We ardently design and develop the labels, stickers and tags on the basis of various parameters like: Design * Colors * Sizes * Shapes * Adhesives * Over the years, we have attained strong place in the country especially focusing to the Northern region, with presence in all major cities.